"Lux is the daily design boutique. The first app that connects designers to customers." I love this app for so many reasons. I love that there is a wide variety of styles and designs on Lux. There are so many nifty kitchen gadgets, candles with the dreamiest scents, plants, vases, and pretty much anything and everything else. Small items that make big differences in home decor. There are just the right amount of featured items, you're not overwhelmed, but you're all heart eyes. 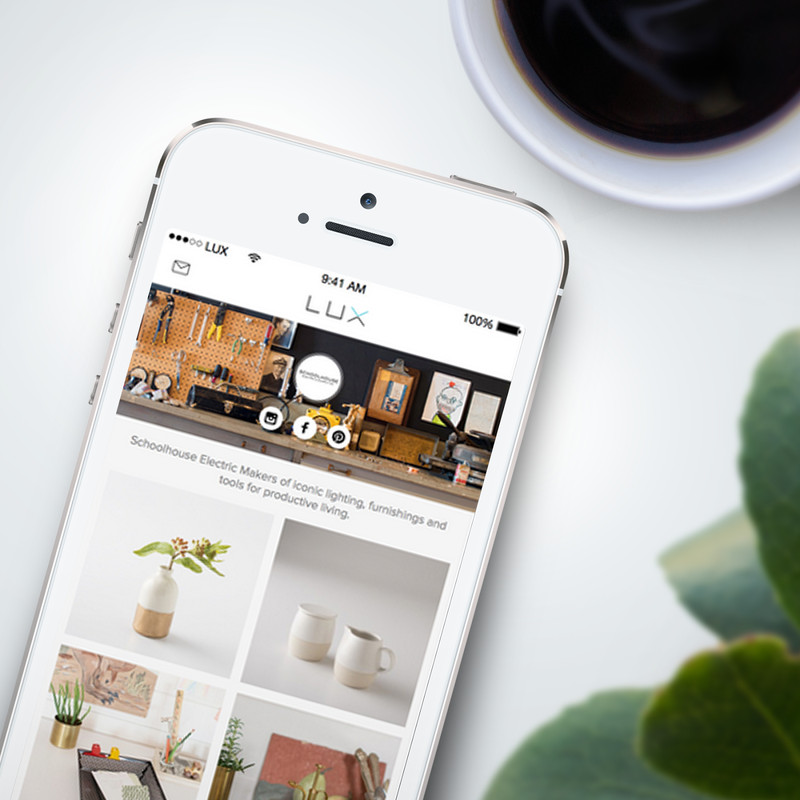 It's a clean, crisp, and clear design and nothing is complicated while shopping on Lux. The easier the better for me, and shopping Lux is easy peasy. It's curated beautifully. Lux has it all when it comes to home decor and products so while I could have just kept on scrolling forever I ended up ordering this awesome customizable cookie stamper. I mean, the possibilities with this thing are just endless. We've started a list for the Valentine's Day sugar cookies we will be making! And these Matryoshka measuring cups! I had a set of stacking dolls like this as a little girl and I brought them everywhere with me, it's sweet to see that these are doubling as our measuring cups and Story's new favorite toy. Lux is available for all smartphones and is mildly addictive. Get it here! Happy shopping!